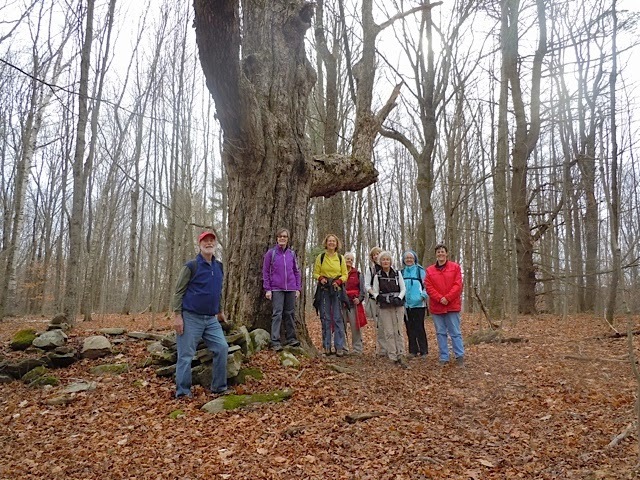 November 25, we hiked the loop at McLennon Reservation in Tyringham, a Trustees of Reservations property. We parked on Fenn Road just off Main Road because the dirt road up to the trail, a half-mile, is better walked than driven. 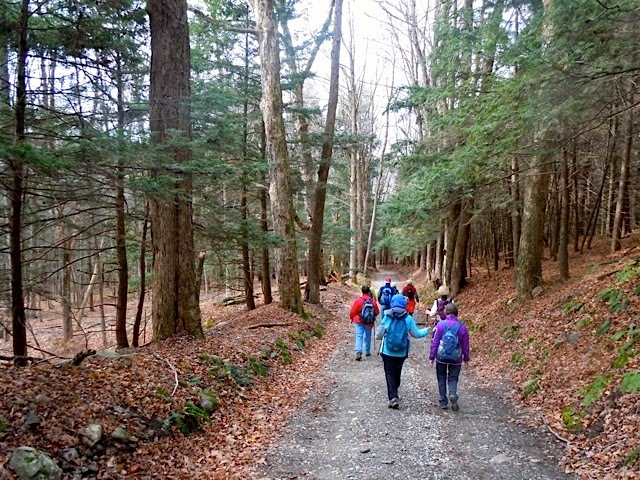 The sky was gray but the air was warm and perfect for hiking. We were in for a couple of surprises. 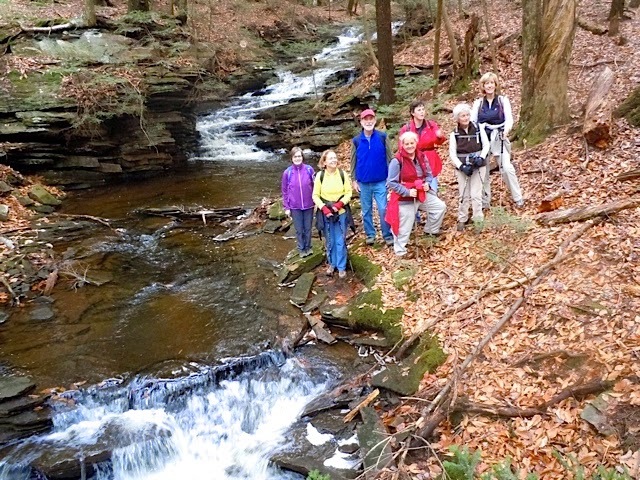 Camp Brook, which drains Hale Swamp, was loaded with water from all the rain the last week. 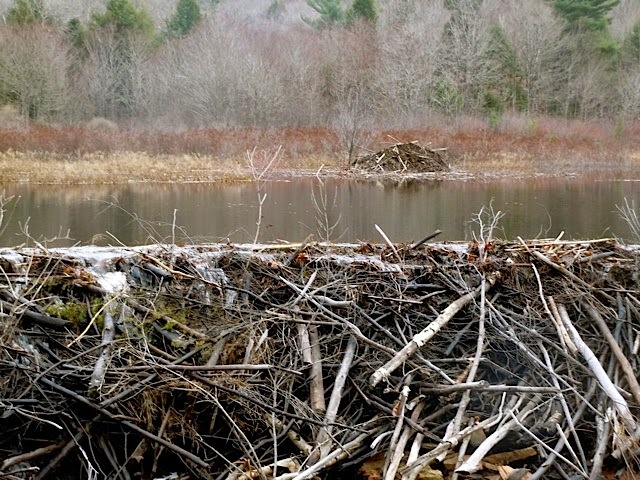 And, when we got up to Hale Swamp, we were delighted to see that beavers had been busy building a dam, upgrading their lodge and preparing for winter. 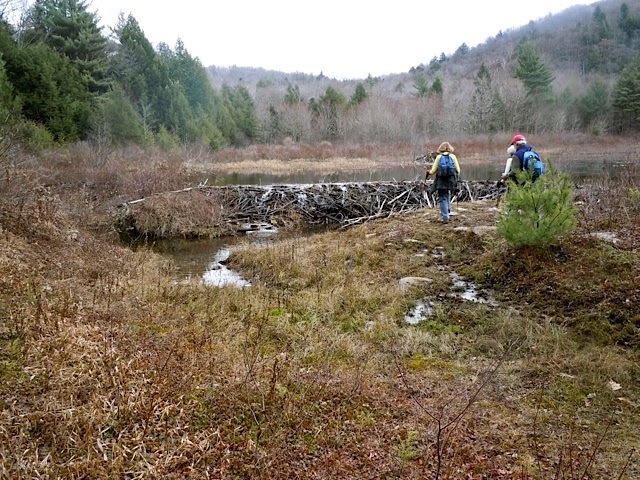 The last time we had been here, in the spring, there was no sign of beaver, just a small creek winding through a meadow. Now the dam was about five feet high and the swamp was covered with water. Easy to see that beavers have a huge effect on their surroundings! Fenn Road is an easy walk through the forest. 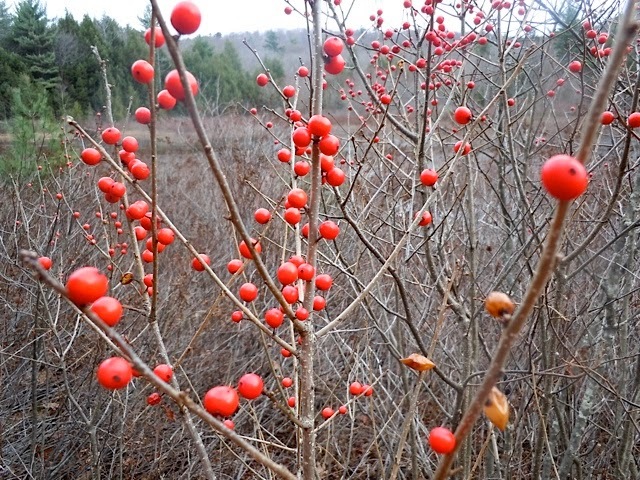 visible as you walk along the trail up to the swamp. The large swamp was full of water behind the new dam. 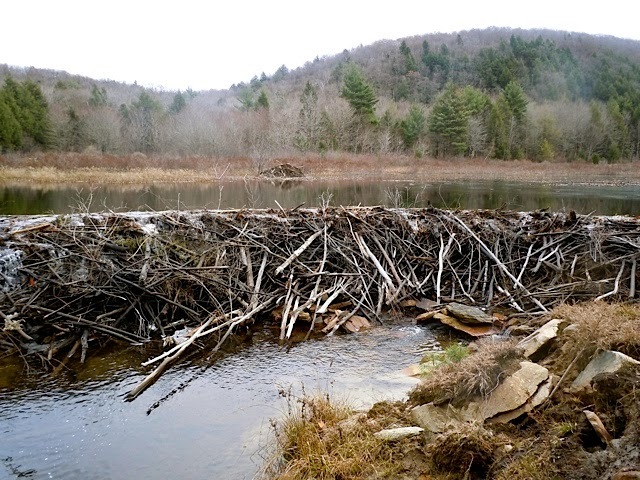 In the course of a few months, the beavers built this 5-foot high dam. In the background you can see the pile of sticks and mud that is their lodge. We also saw the ends of branches sticking up around it. they eat the tender bark on the twigs and branches. in the mostly subdued surroundings. I'm always amazed by this huge maple, about 15 feet around. It's probably been used as a boundary marker for hundreds of years.